WASHINGTON — Venezuela, already struggling economically, has seen oil prices fall at a precipitous rate. Partially due to the undercutting of oil prices by the likes of Saudi Arabia, Venezuela needs reforms to help stave off any further economic crisis. 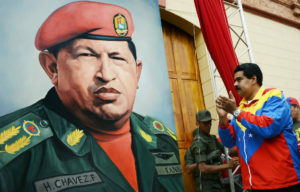 Reuters reported that current Venezuelan President Nicolas Maduro will most likely need reforms to help the country’s weak public finances and to pay their debts. Oil prices for barrels of crude oil have given reformers’ cries of reform added strength, falling under $85. Some suggested that Venezuela should raise gas prices in the country, but it could result in significant backlash. Also, there could be significant devaluation of the country’s currency, the bolivar. The current exchange rate of a bolivar to a dollar is officially 12 or 50 bolivars per dollar, or 100 bolivars on the black market. But, this could fuel inflation and could affect the stability of the economy and the support of the Venezuelan people.